Taking the KTM train to Sungai Petani in Kedah state, is a quick, good value way to travel to SP. The Sungai Petani Railway Station (stesen keretapi) is served by long distance Electric Train Services (ETS for short), as well as the much cheaper, shorter distance KTM Komuter (commuter) services. These fast, long distance trains, currently operated from as far south as Gemas, with most services originating from Kuala Lumpur KL Sentral Railway Station. 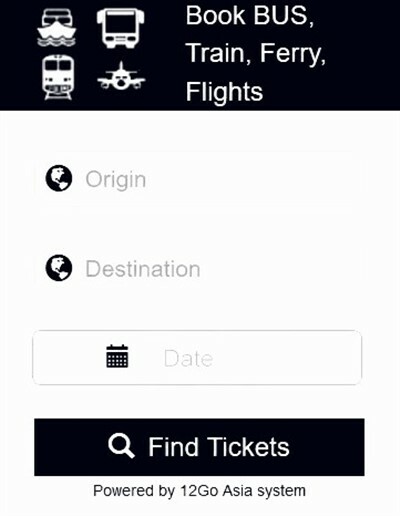 Using these trains is and easy way to travel to Sg. Petani from places like Melaka (via Tampin station), Seramban, Bandar Tasek Selatan (TBS Bus Terminal), Kuala Lumpur, Rawang, Tajung Malim, Kampar, Batu Gajah, Ipoh, Kuala Kangsar, Taiping and Parit Buntar (and many more smaller stations along the route). To travel from stations further south of Gemas in Johor state or from Singapore, you currently have to take a Shuttle train service to either Gemas or Tampin to connect to the ETS services. Travelling from the north (Thailand border) to Sg. Petani by ETS train, services originate from the border station at Padang Besar. 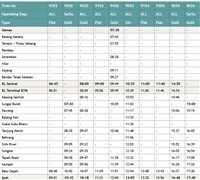 However, it is much cheaper to travel on the much more frequent KTM Komuter trains (see section below). For travel by train from Thailand to Sungai Petani, you can take the Bangkok to Padang Besar train to the border, or the Hat Yai Shuttle train service to the border. Travelling to Sungai Petani by commuter train is really cheap (cheaper than by bus) and there are frequent services from the early more until late evening, departing every hour during the busy times of day, or every two hours at quieter times. Sungai Petani is on the relatively new Komuter Utara Line / Route, that operates from the Thai border at Padang Besar in Perlis state, through Kedah state, in to Penang state and Butterworth (for the ferry over to Georgetown on Penang Island). The is also another Komuter Line that that connects at Bukit Mertajam station, heading south in to Perak state, terminating at Padang Rengas.